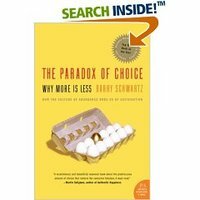 I wanted to highlight a book I have been reading called the Paradox of Choice. This book has a lot to do with consumer psychology, something I have been studying a lot lately. The premise of the book is about how too many choices, or really to many complicated choices, actually dis-satisfy consumers instead of actually satisfy them. I will be putting out a Brief of this book to all our clients highlighting some important things as it relates to consumer choice and how consumers make decisions about products. So if you are a paying client of ours you will get it soon. If not and you are interested feel free to e-mail me. Just as more and more people are discovering Facebook, observed by the number of friend requests I get from colleagues , I am already beginning to wonder if the end has begun for Facebook. Not only has Facebook struggled and not shown a single compelling model to make money they are also struggling to keep people engaged for any period of time. Some of my latest research with over 100 social power users under the age 25, that I have observed follow and set the trends in social media, have begun alluding that they are spending less and less time on Facebook and on average less then 2 minutes at a time. They may still “check” it several times a day but again only a short burst. This does not bode well for advertisers because the future of advertising on the web will rely more on integrated efforts as opposed to banner ads or static advertising as we see today. On top of all that Facebook does not have history on its side. If history proves true that once a market, in this case the market is social networking, reaches maturity it moves from standardization to segmentation. In short the market fragments. This is exactly what I think will happen with social networks. I have said before and still believe that social networks will number 1) become more community centric then networking centric and 2) much more focused or specialized. All of that being said I am not sure what the future holds for Facebook. Facebook is at a number of crossroads and they need to figure out very quickly how to re-engage with people and keep them engaged by making it possible to have meaningful relationships with another human. This is the difference between a networking mentality and a community mentality. I particularly have not seen or heard a shred of visionary thinking from any top exec at Facebook that leads me to believe they have any clue where they are going. I am also quite excited about a few other communities that are popping up, which will remain nameless as they are in stealth mode currently, that may very well demonstrate what the future of online communities may look like. I have recently been trying out some of the latest in car portable navigation systems. Many of these are now voice activated for my convenience of not having to use my hands while driving to configure the device. This is a great idea however current voice technology makes this a poor experience. I can see where this technology is going and how it would be nice in the middle of my route to simply say "find me a Starbucks" and be re-routed to the nearest Starbucks. However this is not quite the experience delivered currently. I initially thought I would use the voice activation more then I have. And unfortunately more often then not when I do want to use the voice activation it doesn't work. The flip side is that is generally starts working when I don't want it to. An example being that I'm talking on the phone, through my hands free bluetooth device, and in the middle of the call usually with a client or a reporter my GPS will gawk loudly at me "DID YOU SAY CANCEL ROUTE" or my favorite "SAY A COMMAND." Interestingly during a conversation this can happen several times. There have been some times during a less formal conversation when I actually get in an argument with my GPS. It would make a great short video sometime if I have time to have my interns make it this summer. All that being said the experience still needs to get better and more streamlined. I see where GPS manufacturers are going with the technology but more quality assurance needs to go into these for the price point for the present market. This years CES was a bit lackluster in my opinion. I was surprised not to see more innovation from the handset manufacturers in terms of handset innovation for 2008. It seems like any attempt to go after the iPhone was more a follower implementation then a leading innovation. Clearly the most innovative products at CES were the Ultra-thin HDTV’s. Sony had one of the more amazing showcases with its 11inch and 27 inch OLED TV coming in at 3MM thick. One trend I am interested in watching this year is the connected digital picture frame space. Kodak showed me some very cool displays attached to their Easy Share service so friends and family can share pictures right to the frame. I believe there is a lot of value in this service particularly as people start getting more creative with their digital photos and desire to do more. What is better then to send those new family vacation pics right to Grandma’s frame which alerts here when she has unseen photos. Eventually this experience makes its way to the TV for a complete experience but there are still tons of barriers to overcome before that is possible. This makes the connected photo frame very important to the adoption of new display services. The CEA also dropped some of their forecasts for this year due to economic uncertainty and possible weak consumer spending. I am bullish that the electronics sector will suffer much even if we do slide into slight reception but that is just my opinion given history and some trends but I am no economist. With all of that said I think CES 2009 may be a very different story in terms of innovation. News broke today that Warner Brothers has decided to distribute High Definition DVD's strictly on Blue Ray. This is a logical move given the costs associated with supporting three formats. There has been a great deal of consumer confusion and high definition DVD formats have suffered along with DVD sales suffering as well. I believe Warner Brothers is looking at the installed base of formats and see Blue Ray in the lead. I think other studios may very well follow suit and start placing their bets. But this puts Blue Ray now with Sony, Warner Brothers and Blockbuster fully on board. Let's see what happens at CES. If you read my Future of Social networks posts a few month's ago I mentioned that we felt the value of social networks are when they are vertical or focus on people of like minds or passion. I have found a few sites that truly embody this and are gaining heads of steam. The sights are Dogster and Catster. What is very interesting about these sites is that they appeal to the animal loving community at large from a social network standpoint. But they also appeal to specific dog and cat owners who can join a sub group that is specific to their breed of dog and cat. Their is a local section so local pet clubs can interact and schedule events etc. This is truly when the value of social network come alive. Sometimes in Silicon Valley we get caught up in the constant innovation we see around us. We forget that "middle Amercia" is not online all day browsing the web. They browse the web in spurts and only for limited times at a day if at all. For us to think they all want to spend the little time on the internet they spend searching random people is absurd. Instead we should reason that they want to spend the little time on the internet they have really getting value from it. Social networks add the most value to people's lives when you are connected with like minded people who have the same passions as you. Dogster and Catster are great examples of this and brilliant for advertisers who want to reach animal lovers. Henry Ford has a famous quote that says " You can buy any colour - so long as it's black". Sometimes I feel like Steve Jobs is saying the same thing with the Macbook. I wish they made Macbook's with the same color options as the iPod Nano's. I would really love a red Macbook. There is a great site I have watched for some time now called ColorWare PC www.colorwarepc.com. They can paint your mac any color you want. I have considered having my iPhone and Macbook done red but then would be out a computer and phone. Please Apple make the Mac's in different colors! Many people in the tech industry have been asking me a lot of questions about the iPhone. I am taking these questions from not just the press but many folks trying to understand really where the future of communication is going and the role the handset, the most personal device, will play in that future. My goal in this post is to share some simple insights on the iPhone. The iPhone I believe is an already but not yet device. Already because it is here and not yet because it is not the device it can be yet. The first thing one needs to understand about the iPhone is by all definitions it is fundamentally what Intel describes as a MID or mobile internet device. Yes it would be nice if the data speeds were better but that is still an infrastructure issue. My first experience with the device was why do I need my Mac? Interestingly many more affluent college students I know who also purchased the iPhone had the same response. Once Apple decides to allow a few more simple productivity functions the iPhone could fundamentally be a class of computer. I think it is humorous all the complaining going on about the iPhone and Apple being so restrictive in the experiences they are "allowing" consumers to have. I suppose I view what Apple does differently primarily because of observing how they have always done things. Apple since the iPod has shown that they understand how to put the most relevant product on the market at the right time without over stepping technical boundaries that may hinder price points they desire or market adoption barriers. Apple's focus with the iPhone right now is primarily entertainment fundamentally around the iPod experience. However in the future I would bet that will change. Once Apple flushes out the iPhone as a platform what will happen is the user will choose how best the iPhone will work for them. If I have no business use for the phone like most consumers then I will through applications install what is most useful to me. Primarily this would be apps that focus on entertainment and communication. If I do use it for business then adding productivity applications to the iPhone makes sense. That doesn't mean I have to sacrifice entertainment for productivity, it simply means I choose how to make the device best fit my needs. This is the power of a platform. Apple views things in terms of an ecosystem. They understand the roles their products play in people's lives and integrate experiences across all the products they create. Apple I believe has it's eye on all forms of consumers both business and entertainment. The power of the platform is I choose how to use it to best fit my needs. The iPhone is a platform and will continue to evolve in that direction as a key player in the Apple ecosystem. So what I keep saying to all those who ask questions of me is basically - Be Patient, they know what they are doing. Intel today showed off a number of new devices in their UMPC or Ultra Mobile PC category. They also showed off a number of new devices from a new category they hope to develop called MID's or Mobile Internet Devices. They showed off a number of usage models on a device that looks quite like an iphone but with a larger/longer screen. They showed off applications like GPS and location tracking/searching, social network managing and more. They touted how this category will truely bring a mobile internet experience in your pocket, like full web browsing and more. So i'm sitting there wondering what is different from what I am currently doing with my iPhone? Based on their description and usage models I have a MID in my pocket currently. HMMMM.